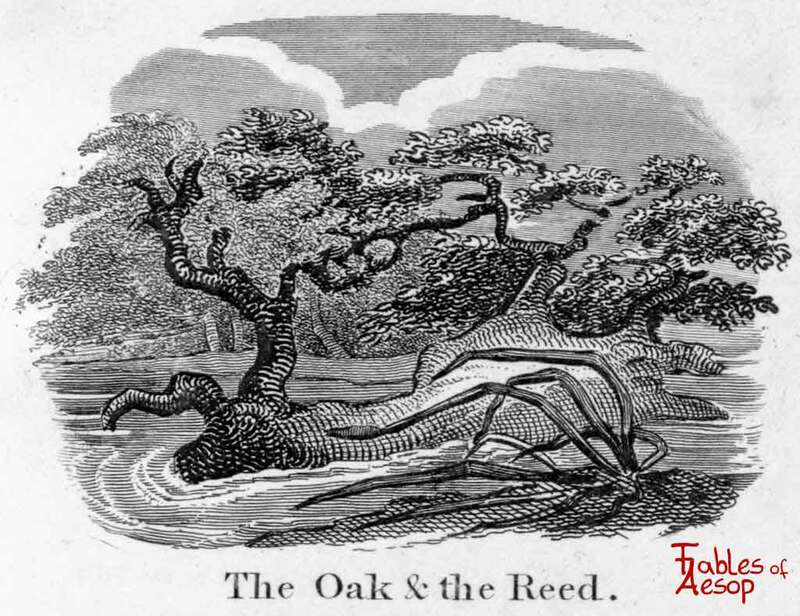 In a gale, a tree fell but reeds did not. 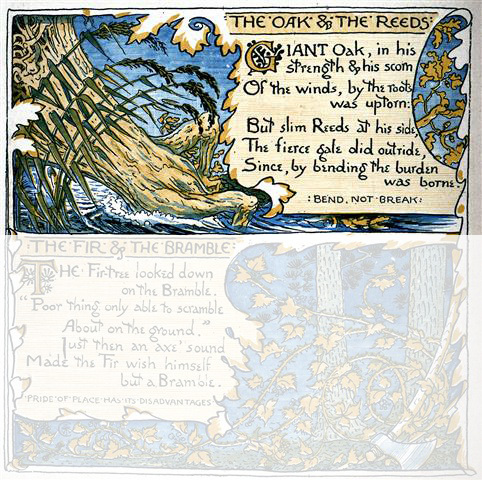 It was observed that reeds can bend in the wind but trees can’t. “Safe!” sneered the Tree. 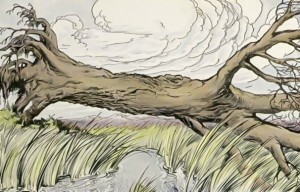 “Who shall pluck me up by the roots or bow my head to the ground?” But it soon had to repent of its boasting, for a hurricane arose which tore it up from its roots, and cast it a useless log on the ground, while the little Reed, bending to the force of the wind, soon stood upright again when the storm had passed over. His ancient pride and glory ended. 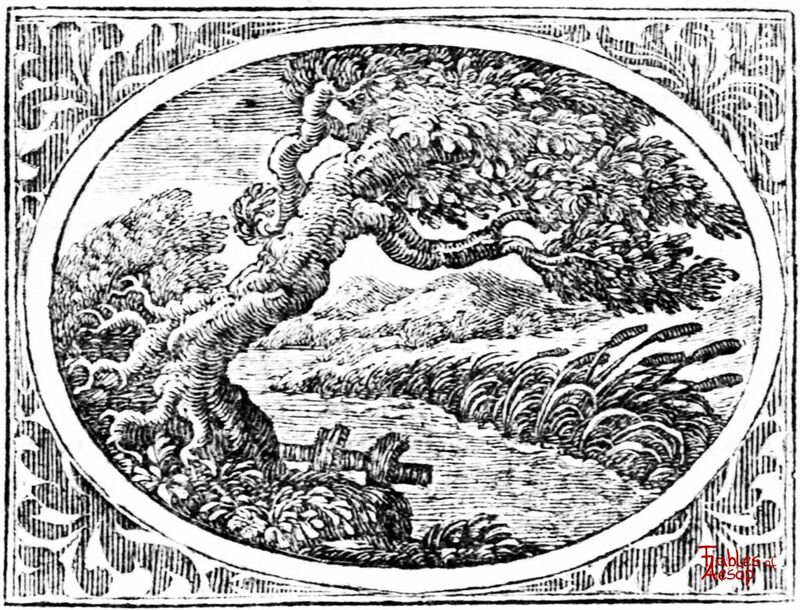 The oak-tree from his well-known shade. Grew weakly reeds and languid sedge. Proving the truth of what it said. “You’re right,” ere he was borne away. Who make the most stubborn resistance. 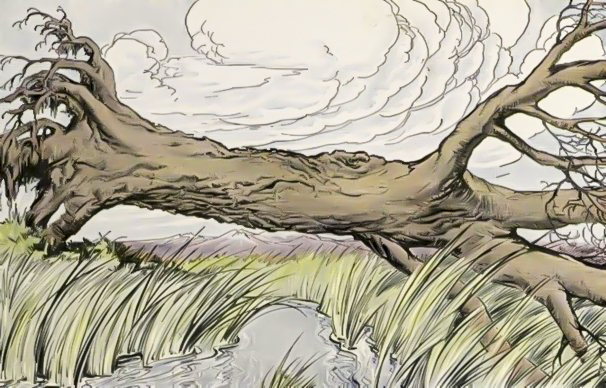 AN Oak, which hung over the bank of a river was blown down by a violent storm of wind; and as it was carried along by the stream, some of its boughs brushed against a Reed, which grew near the shore. 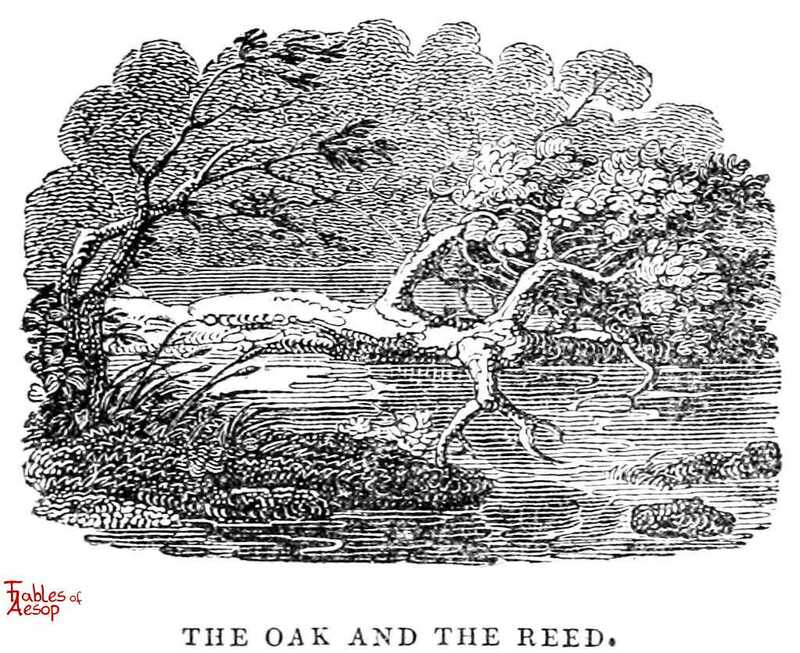 This struck the Oak with a thought of admiration; and he could not forbear asking the Reed, how he came to stand so secure and unhurt in a tempest which had been furious enough to tear an Oak up by the roots? 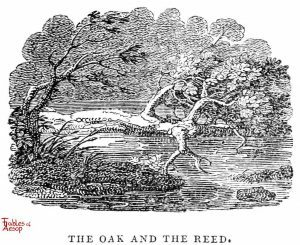 Why, says the Reed, I secure myself by putting on a behaviour quite contrary to what you do, instead of being stubborn and stiff, and confiding in my strength, I yield and bend to the blast, and let it go over me; knowing how vain and fruitless it would be to resist. 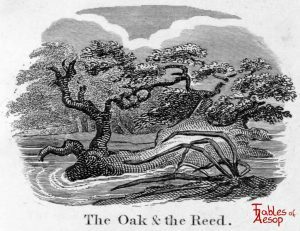 Though a tame submission to injuries which it is in our power to redress, be generally esteemed a base and a dishonourable thing; yet, to resist where there is no probability, or even hopes of our getting the better, may also be looked upon as the effect of a blind temerity, and perhaps of a weak understanding. The strokes of fortune are oftentimes as irresistible as they are severe and he, who with an impatient reluctant spirit fights against her, instead of alleviating, does but double her blows upon himself. A person of a quiet still temper, whether it is given him by nature, or acquired by art, calmly composes himself in the midst of a storm, so as to elude the shock, or receive it with the least detriment: like a prudent experienced sailor, who is swimming to the shore from a wrecked vessel in a swelling sea; he does not oppose the fury of the waves, but stoops and gives way, that they may roll over his head without obstruction. The doctrine of absolute submission in all cases, is an absurd, dogmatical precept, with nothing but ignorance and superstition to support it: but, upon particular occasions, and where it is impossible for us to overcome, to submit patiently is one of thr most reasonable maxims in life. Since, by bending the burden was borne. 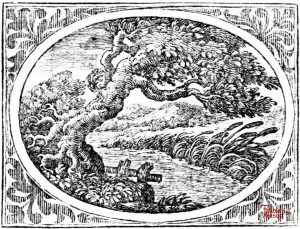 Disceptabant de robore quercus et harundo. Quercus exprobrabat harundini mobilitatem et quod ea ad quamvis exiguam auram tremeret. Harundo tacebat. Paulo post, procella furit et quercum, quae ei resisteret, radicitus evellit; harundo autem, quae cederet vento, locum servat.